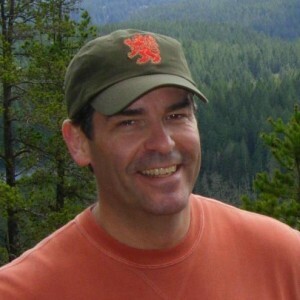 Innovator in technology and education, Jeff Stewart has served as principal in BC public schools for 20 years and created internationally-recognized distance education programs. Stewart received his Master of Arts in Educational Studies from the University of British Columbia in 1994. During this time, he was a practicum supervisor and sessional lecturer in the Faculty, and worked with UBC’s Dr. Charles Ungerleider on a pilot project for curriculum integration. Stewart later founded the BC School Centred Mental Health Coalition to address mental health in children and youth in the provincial school system. Serving as chair, he was a leader in province-wide conversations on connectedness in school communities, advancing groundbreaking research on the topic. He advocated for education that was sensitive to the diverse ways students learn and school practices that promoted inclusiveness. While vice-principal of Maple Drive Junior Secondary, Stewart brought together district officials, educators, parents, and elders in a First Nations Learning Group to strategize on improvements to academic achievement of First Nations students. Stewart is currently in a unique position as district principal of the North Island Distance Education School (NIDES). The school, located in the Comox Valley, serves over 3,000 students across Vancouver Island and BC through distance education. Enrollment includes students K-9, adult learners, and more than 1,400 secondary students. NIDES combine online distance learning with “face-to-face” instruction via video conferencing and virtual classrooms in a blended learning model. The model offers the flexibility of traditional distance learning and homeschooling, while building bonds between students, educators, and community. At the helm of NIDES, Stewart collaborated with over 100 families in a partnership between educators, parents and students on innovative blended learning. He stewarded the creation of three new programs: I-Class, the Fine Arts eCademy (FAE), and the Engineering Technology and Robotics (ENTER) program. In 2014, ENTER received the Innovative Blended and Online Learning Practice Award from iNACOL, the International Association for K-12 Online Learning.